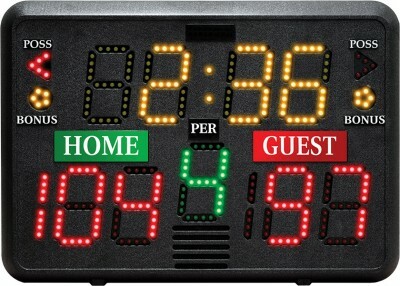 Our largest and most popular sports timer is ideal for timing all of your sports programs such as soccer, football, lacrosse and many more! 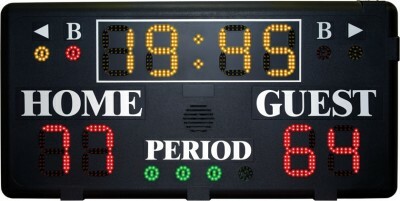 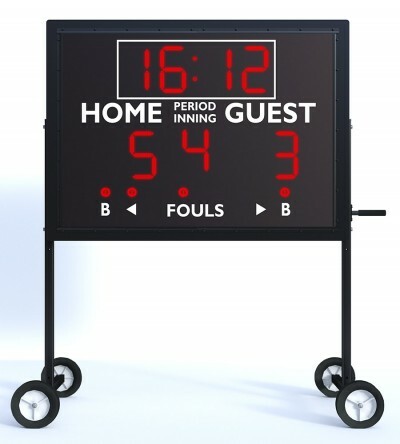 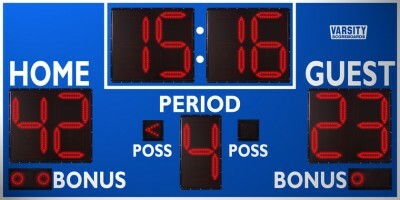 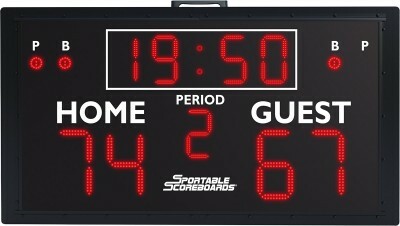 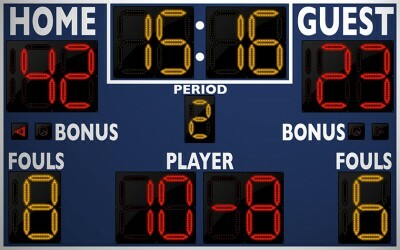 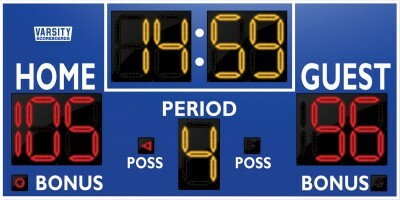 Enhance your sports programs with this attractive portable scoreboard! 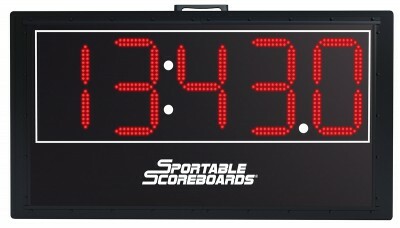 Large 9" and 6" displays are visible over 250 feet away! 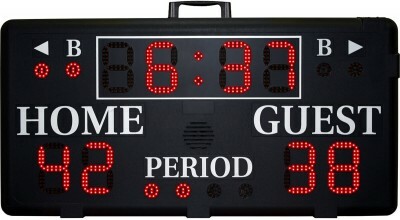 52" x 30" x 8"